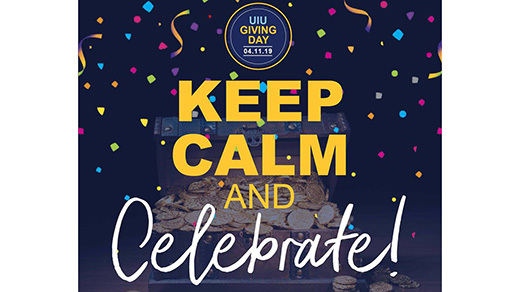 With over 780 gifts, over $159,000 was raised during Giving Day 2019. The funds will go toward UIU scholarships, annual fund, technology, facilities, the athletics refueling station, class gift endowment fund, and other campus initiatives. Final numbers on Giving Day will be announced once all transactions are processed.